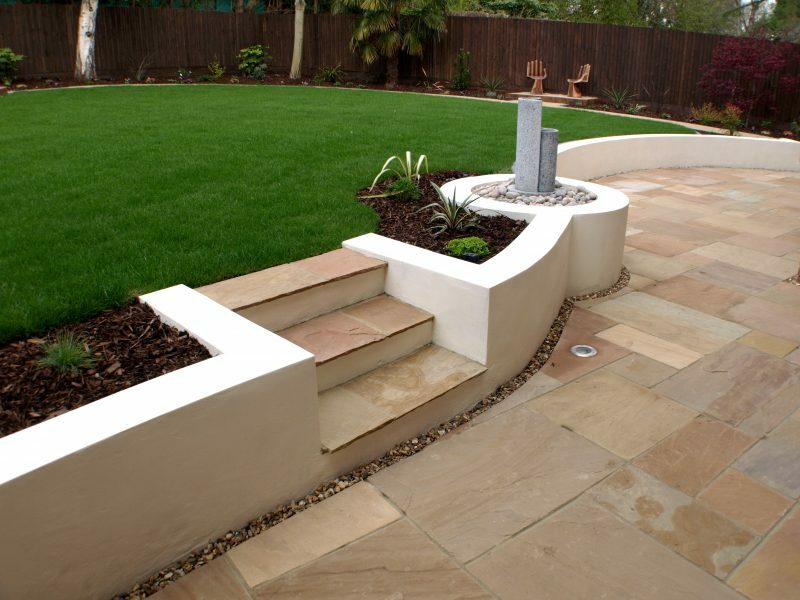 This garden had become rather dated and lacking in inspiration so was in desperate need of a major overhaul. 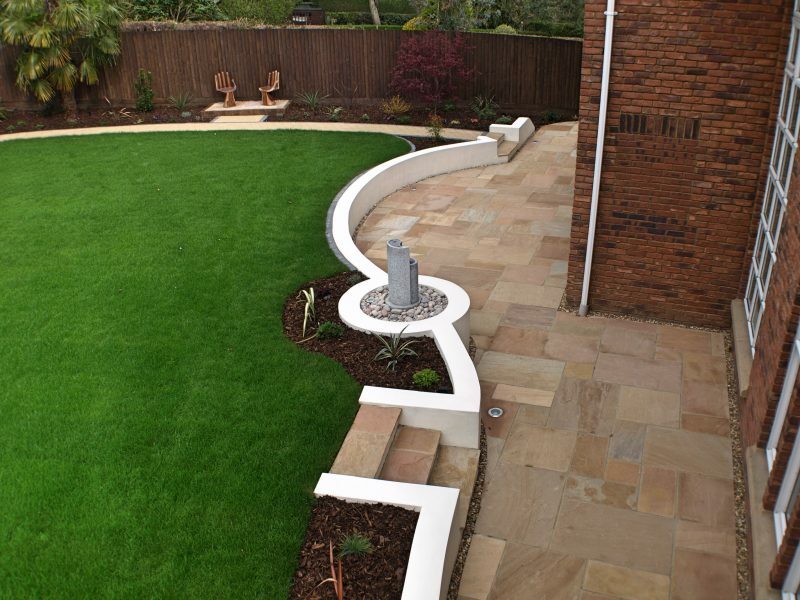 It was important to our client that this garden matched the sleekness of their interior living space, which had been carefully designed and developed to match their life style. 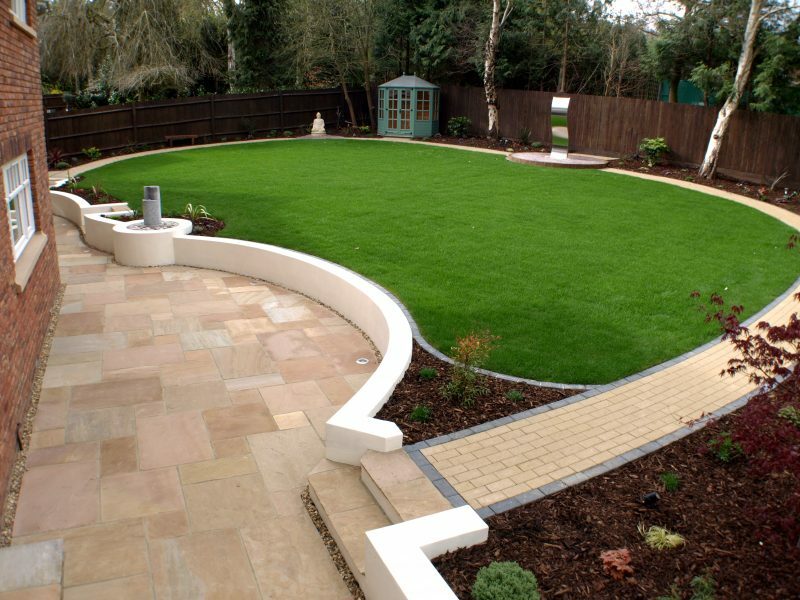 Designing the garden had to take into consideration the removal of a significant amount of overgrown trees and shrubs, this meant reclaiming a large amount of garden that had been lost to the undergrowth. 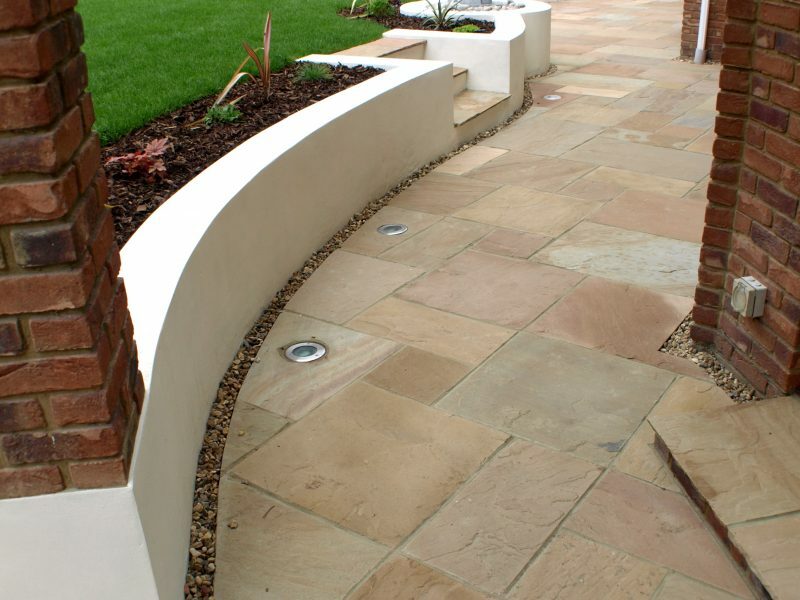 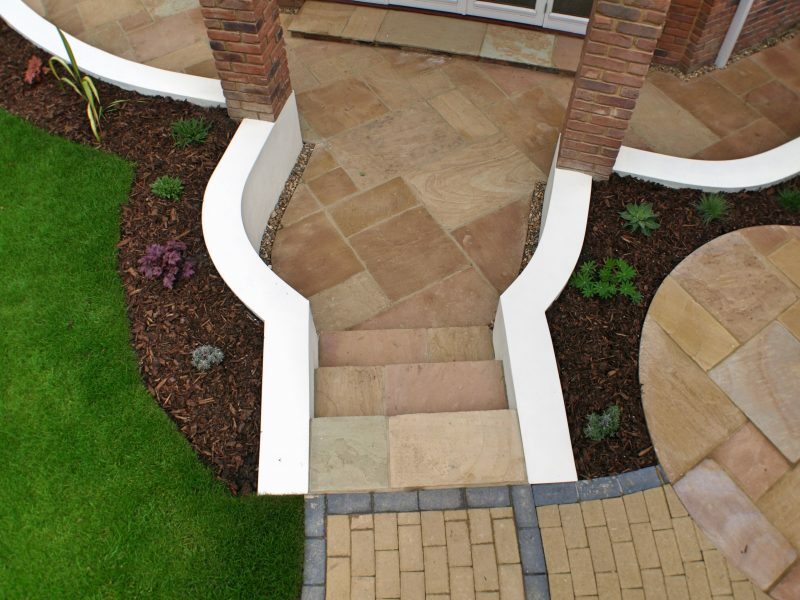 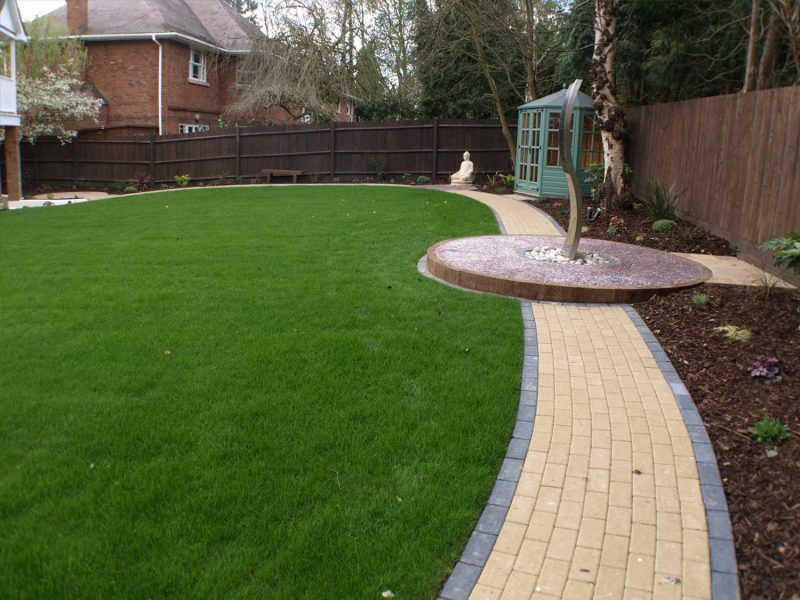 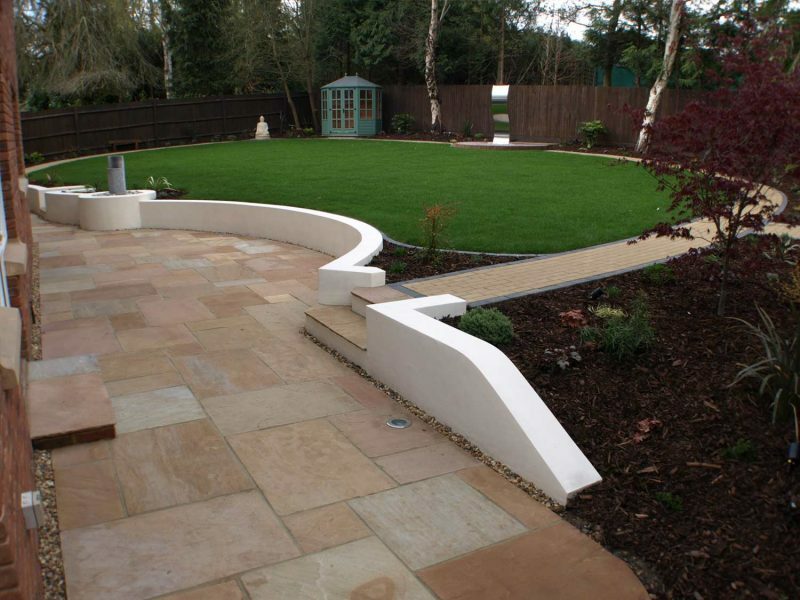 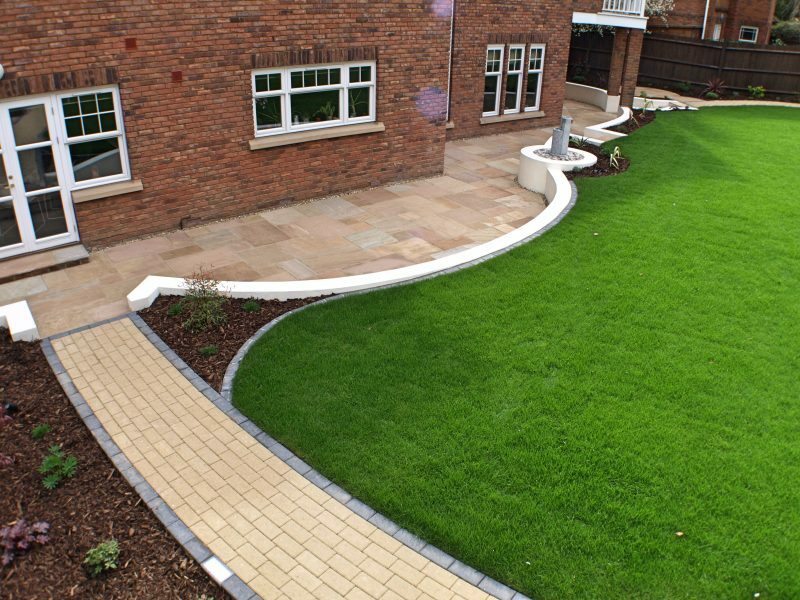 The retaining wall was pushed back and redeveloped using broad sweeping curves to open up the patio area and create a stiking rendered sweep across the garden. 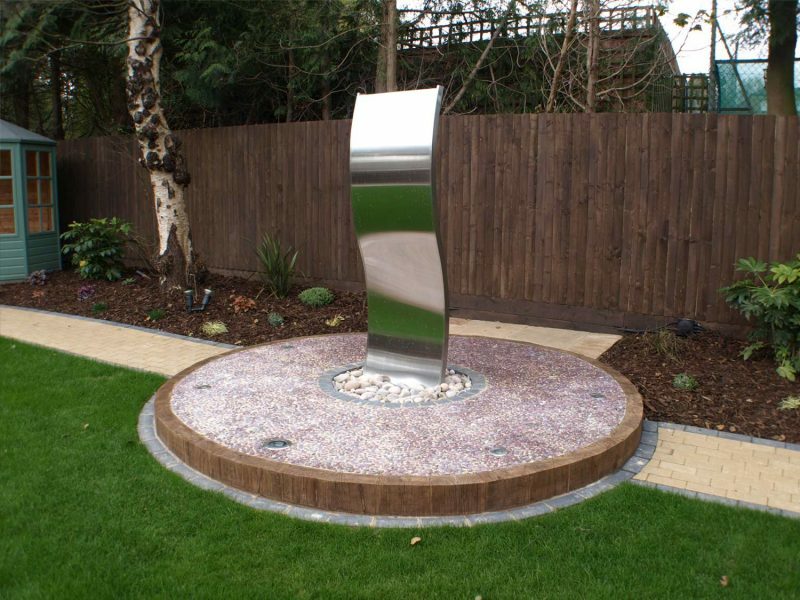 Access round the garden was made easy by designing a sweeping brick-paved pathway with interesting features along the way such as a raised seating area with ‘hand’ stools, a wavey stainless steel water feature and a statue of Buddha. 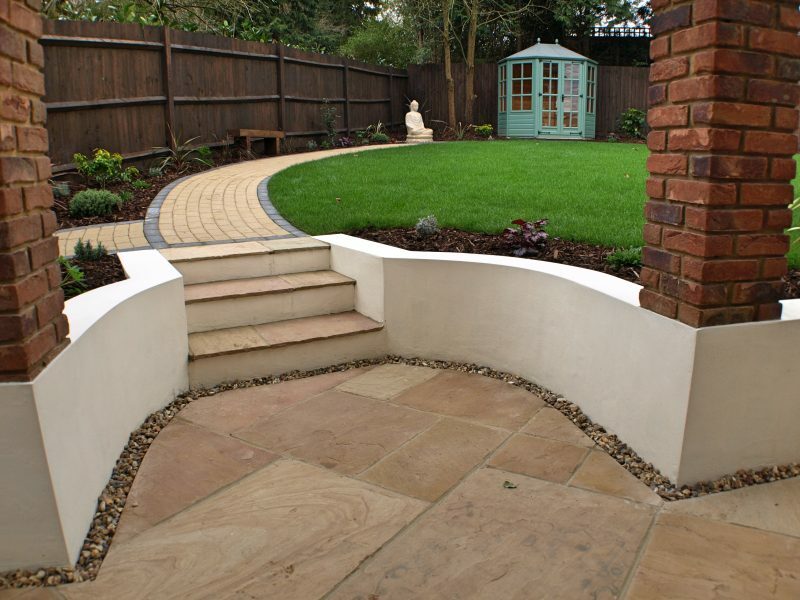 A summer house was also incorporated as a tranquil, sheltered seating area in the garden.